Trace DeMeyer published her first book ONE SMALL SACRIFICE on the Split Feathers, the children taken from the First People of Turtle Island or the United States of America as it was renamed by those who claimed it. The Split Feathers (adoptees) were taken for education and for adoption in planned destruction of their Peoples. Many have not been found or found their way home. Trace includes the story of her own journey and tackles the difficult areas of adoption and the adoptee experience. My becoming a survivor happened in stages, in a sequence of events. As a child I grieved. I promised myself as a teenager that I would find answers but it looked impossible with sealed records in Wisconsin. I felt overcoming my low self-esteem was first. In my 20s, I realized there would be “emotional processing” I’d need to do, slowly, over time. Opening my adoption records was very important in 1978 but troubling since I had no help to locate my parents. This was before the internet. I also had to face reality that I might not find them or my parents might not be willing to meet me. I never met my mother Helen which felt like a second rejection in the 1990s. I was almost 40 when I met my father Earl in 1994. Reunions (or not having a reunion) take time to process. Over the years, other adoptees were great teachers for me since there are no guidebooks for dealing with adoption trauma. There is so much to understand, obviously. 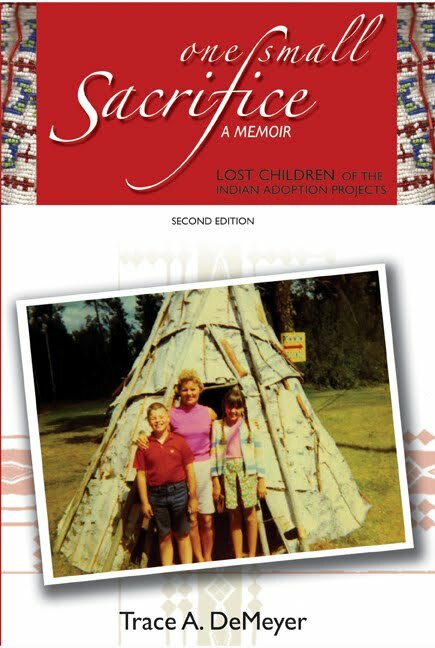 Von: You say in your book, that adoption involves many traumas, not just the one of the loss of a mother. Many of the things that happen to us, the damaging relationships, breakdowns and illness result from those traumas. How do we move from being vulnerable, to strength and survival?